Play your favorite Las Vegas Slots and casino games on Wednesday, February 3, 2019, from 6 pm – midnight and earn big rewards with Point Multipliers. 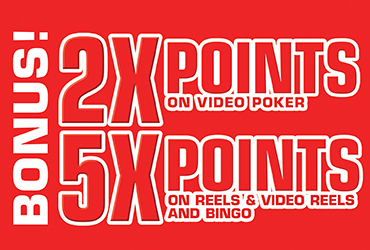 Rampart Rewards players will earn 5X points on Reels and Video Reels and 2X points on Video Poker. Must be a Rampart Rewards Club member with a Summerlin, Premier, or Elite card and at least 21 years of age to participate.